Basin’s best! 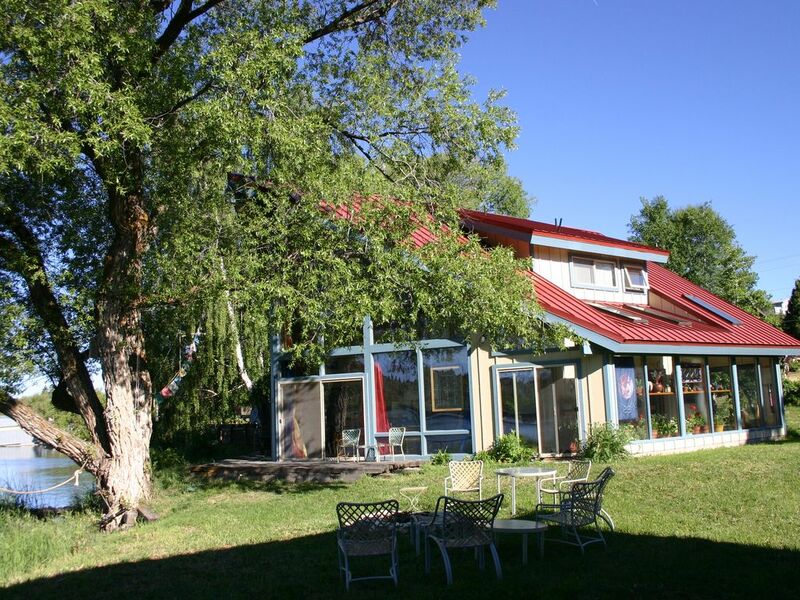 Beautiful architecture with two story glass wall, passive solar with ceiling fans fronting the Upper Klamath Lake. We have open water year round in front of the house bringing in the birds for up close viewing. Take in a stunning sunset lake view as you relax and enjoy a glass of wine in the living room or master suite. Plant & flower filled Atrium. Large open kitchen with cherry wood, granite & Saltillo tile. Spacious master suite with Cal King bed, whirlpool spa & shower. Cozy gas fireplace. Immaculate throughout. Outdoor deck with premier wildlife and bird viewing. Complimentary kayaks, canoe and rowboat. Located across from the Klamath Basin Birding Trail @ Putnam's Point #29. We have many complimentary brochures. Wi Fi. Resource library of art, history, geography & birding. Minutes to South Portal Visitor Center on historic Main Street Downtown with restaurants & shopping. Walk Wingwatchers Trail. Go hiking or biking along the Link River Trail for premier birding. Public golf & swimming & Historic Interpretive Walks available. Host to the BBC Natural History Unit filming the 'Dancing Grebes' for the 2010 'Life' Discovery Special , the NHK Team filming for Japanese Public Television Nature Series, National Geographic authors, birding experts and travel writers. World famous Crater Lake National Park, Lava Beds National Monument and The Ashland Shakespeare Theater are a perfect half day excursion. We have lived in the Klamath Basin since 1991. We have been actively involved in natural resource issues, construction and guide and outfitting. Most recently we finalized a 7 year project, 'Creating A Sense of Arrival' with the remodel of a Visitor Center for the City of Klamath Falls to showcase our beautiful downtown, trail system and waterfront area. This 'One Stop' location offers visitors and locals a place to get information about our area from the Chamber of Commerce and Discover Klamath. Other tenants include Klamath County Economic Development, the Hombuilders Association, Watershed Partnership and Ducks Unlimited. We are recipients of the City of Klamath Falls 'Green Pelican Award' and US Fish & Wildlife Wetlands Conservation Award. We built our home in this very special location because it is on the waterfront and centrally located. This property is unique due to it's up close and personal all season watchable bird and wildlife, which can be viewed from the comfort of your living room or outdoors on the deck. Boating, birding and fishing are a just a few steps away. Downtown Klamath Falls is only 5 minutes and the airport a mere 15 minutes. If you like to hike or bike the Link River Trailhead can be seen from the living room. This Trail takes you to historic Main Street where you can enjoy lunch and visit a museum. A large, open kitchen with JennAire gas/convection oven. Sailboat rental available at the Pelican Marina next door. Harriman Springs Resort available for motorized boat rental. Rocky Point Resort available for motorized boat rental.